Hywin Financial Holding Group needed a network that could help it get its digital businesses online faster and continue the group's rapid development. allocate resources more flexibly and successfully achieve its business goals. "The Group’s over 130 branches in more than 50 countries and regions around the world share a big network. With automatic operation which enables rapid deployment of resources, and tens of thousands of devices can be managed in minutes. The network follows pre-configured policies to carry out intelligent resource deployment." "Commercial innovation keeps evolving; enterprise reform never stops. 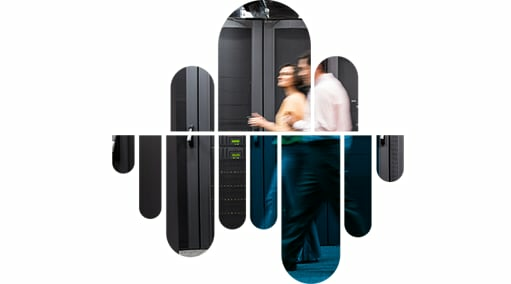 Cisco is transforming the network blueprints with its redesigned hardware and most advanced software, truly ushering in a new network era and bringing more infinite possibilities for clients." and cut the time to launch new business online by 75%. "To achieve automatic perception, analysis and isolation as well as in-depth visualization in face of security risks, we have adopted the Firepower next generation firewall at network borders and data centers, and adopted the Identity Service Engine (ISE) at network access layers, enabling safe and rapid deployment and virtual isolation so as to safeguard stability and security compliance of the Group’s businesses." "The Cisco TALOS team of globally-leading security experts is committed to tracing, analyzing and collecting huge amounts of threat data worldwide, so as to provide users with rapid and effective security solutions and realize zero day protection." improve operations, take business online faster and rapidly achieve business objectives. "The Cisco ACI sets out from our application requirements and policies, focusing on automatic network deployment of data centers; its multi-tenant characteristic enables IT resource sharing among and safe isolation of various businesses of Hywin Financial Holding Group." "The Cisco HyperFlex has strong performance in supporting fast running of the Group’s core business applications such as quantitative trading, inclusive finance and all sorts of big data analyses, providing a strong performance engine for businesses." A network for better customer experiences. Improve operations. Let the network make it happen. The new network means better patient care. A new level of security and innovation. Bring more opportunities to students. New routes in days. Not months. Airlines move faster with IBM MultiNetwork Services and Cisco Digital Network Architecture. Sentara Healthcare stays ahead of the innovation curve, protecting digital healthcare against emerging cyber threats. Okinawa Institute of Science and Technology improved operational efficiency with policy automation and enhanced security. Use the Cisco DNA ROI Calculator to see how much your organization could save with a software-defined network.